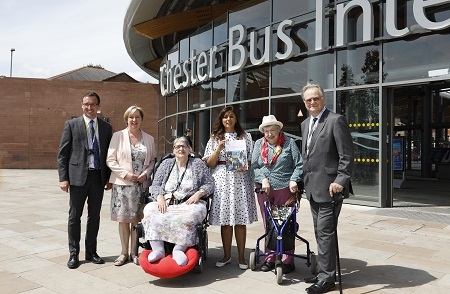 Nusrat Ghani MP, a Minister in the Department for Transport, visited Chester today to promote the government’s new Inclusive Transport Strategy. The European Access City Awards not only recognises and celebrates a city’s willingness, ability and efforts to become more accessible, but highlights those which have clear plans for further improvements, and Councillor Dixon was keen to discuss an ongoing Transforming Cities Fund bid with the Minister. This fund provides an opportunity for Chester to further enhance transport connections across the borough, and beyond its boundaries into Wales and the Mersey Dee area.